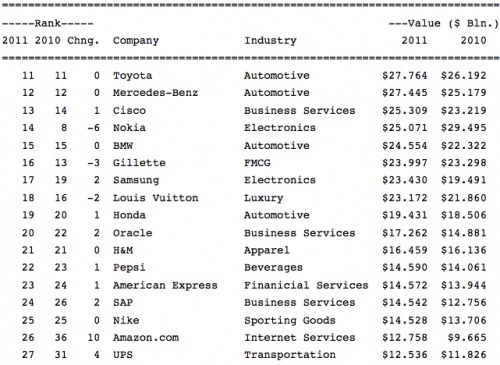 Apple jumped 9 spots to be ranked as the 8th Best Global Brand in 2011 by Interbrand. The report found that Apple increased its brand value by 58 percent year over year giving it a brand value of $33.492 billion. The top three brands were Coca-Cola, IBM, and Microsoft.